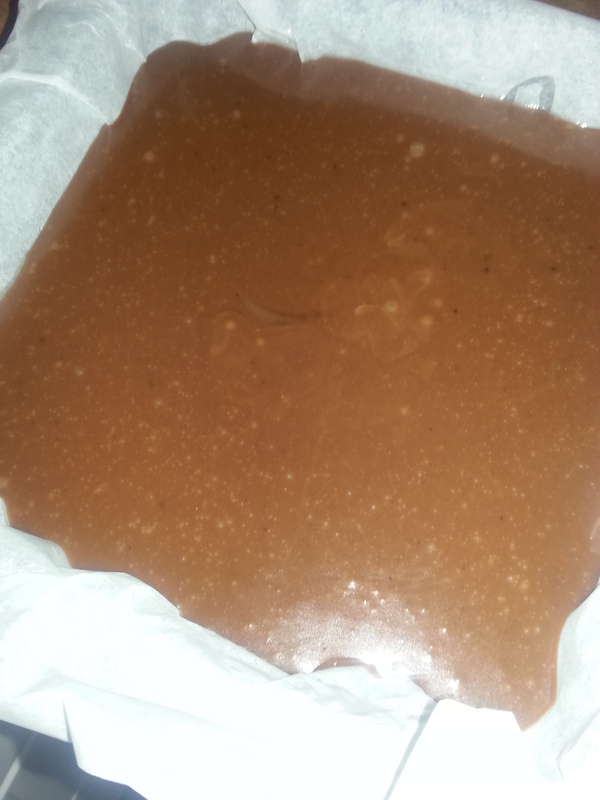 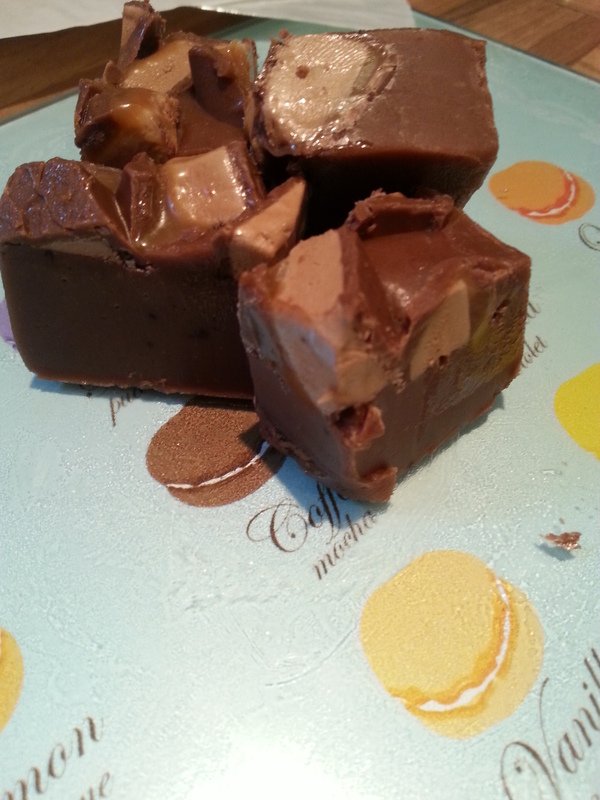 Yes, I am now obsessed with making fudge, its become a sort of little hobby of mine I’ve been making it so much I love it and it’s always welcomed by friends and family. 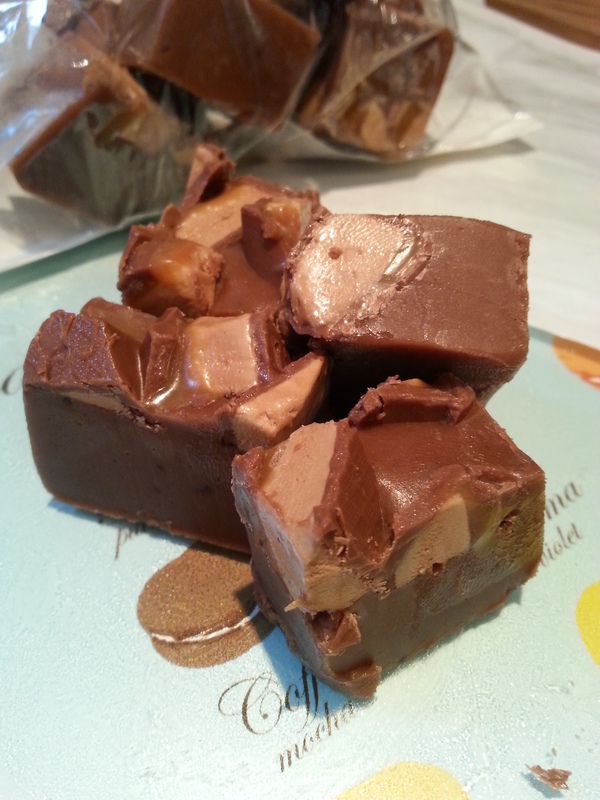 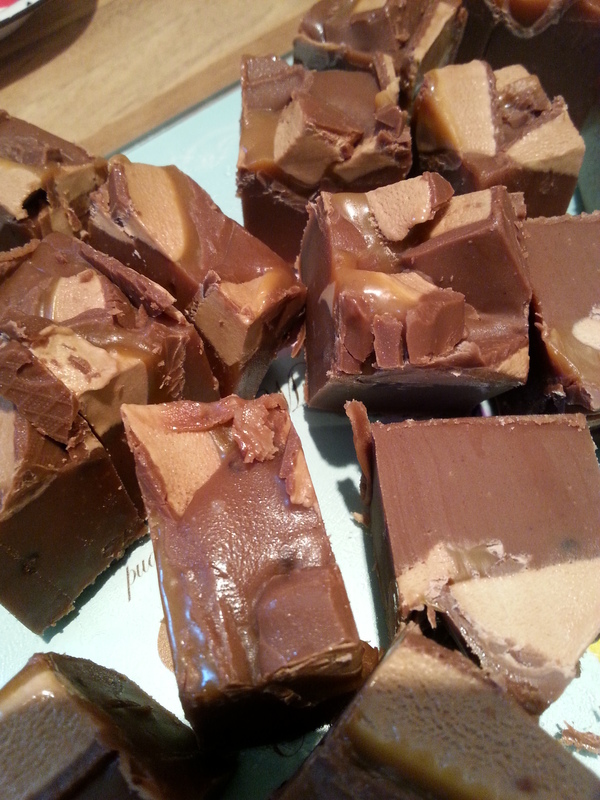 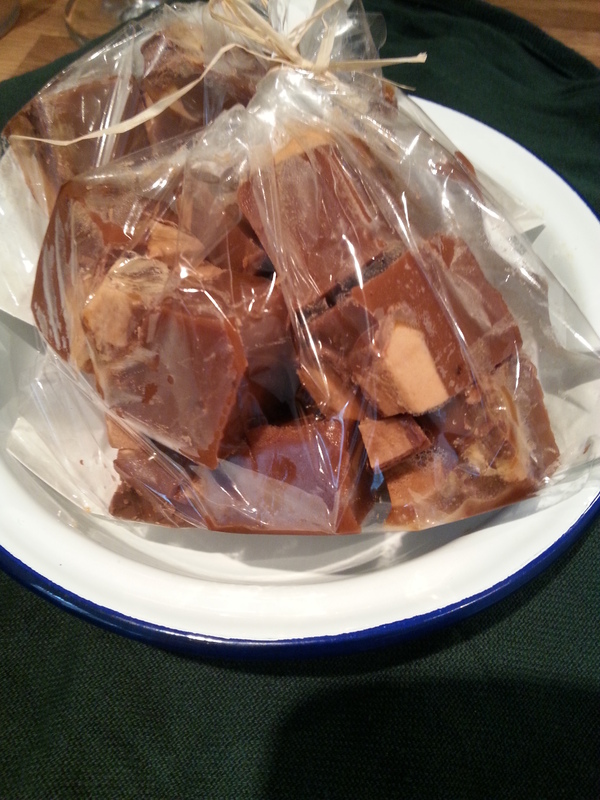 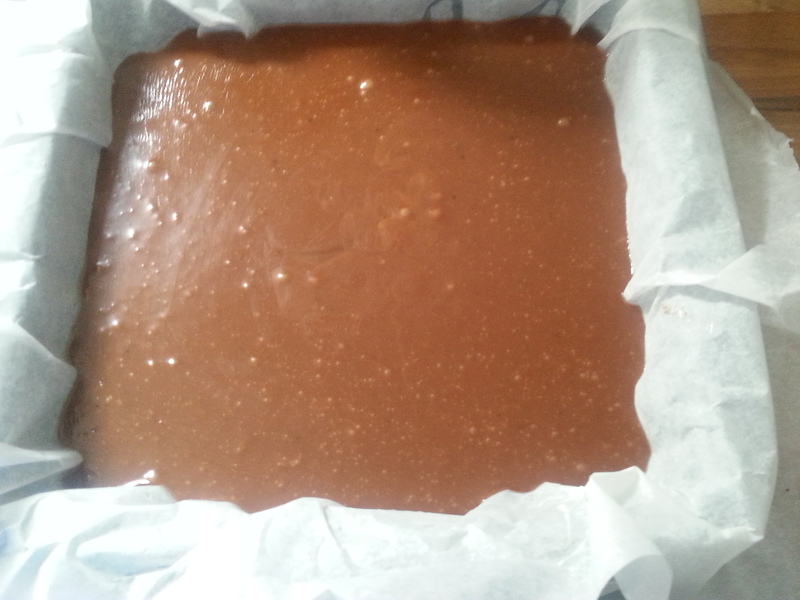 Here is a recipe for some mars bar fudge that I made last week which was my favourite combination which was based on the dark chocolate fudge I made a few weeks ago. 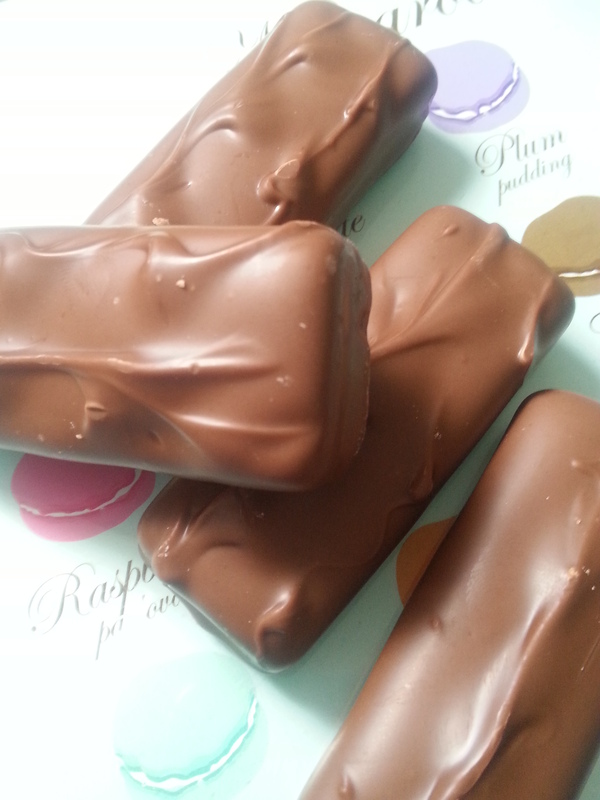 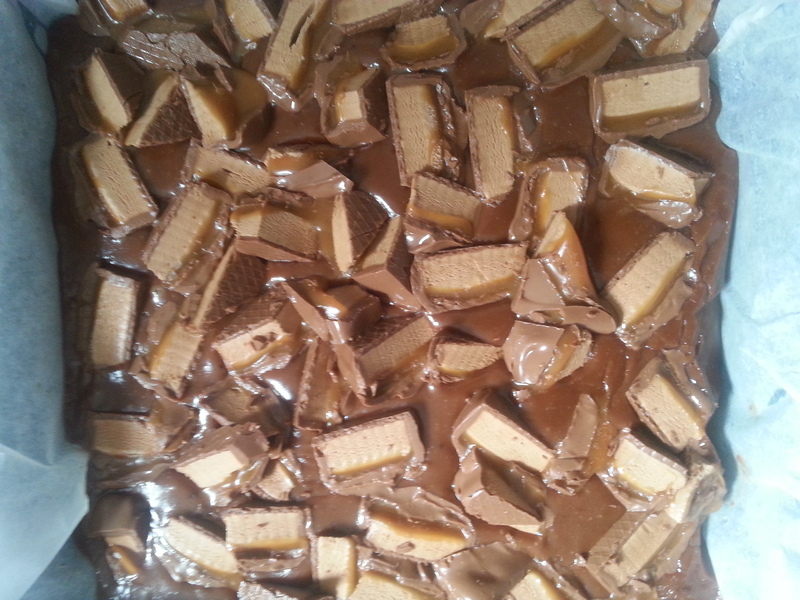 Break the chocolate into squares and chop the mars bars into random pieces. 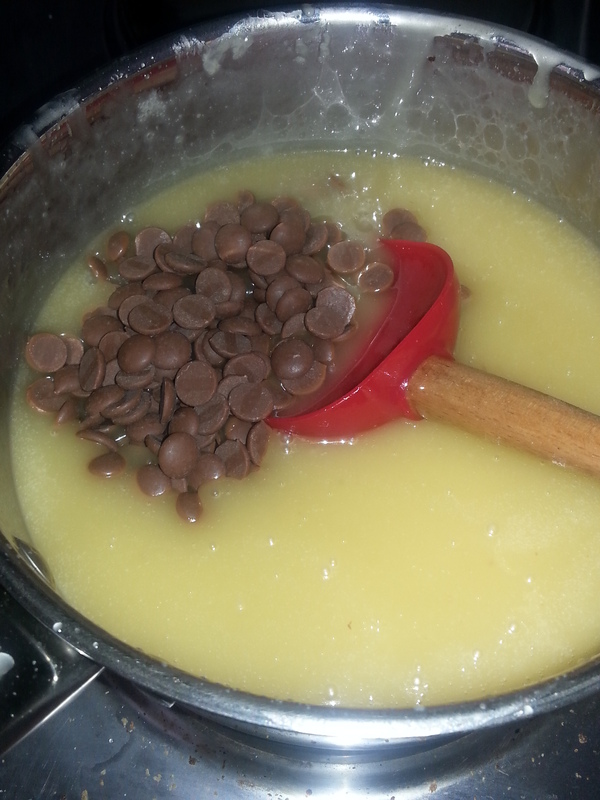 Once the mix is up to temperature, take off the heat and stir in the milk chocolate until fully mixed in and the mix is smooth and glossy. 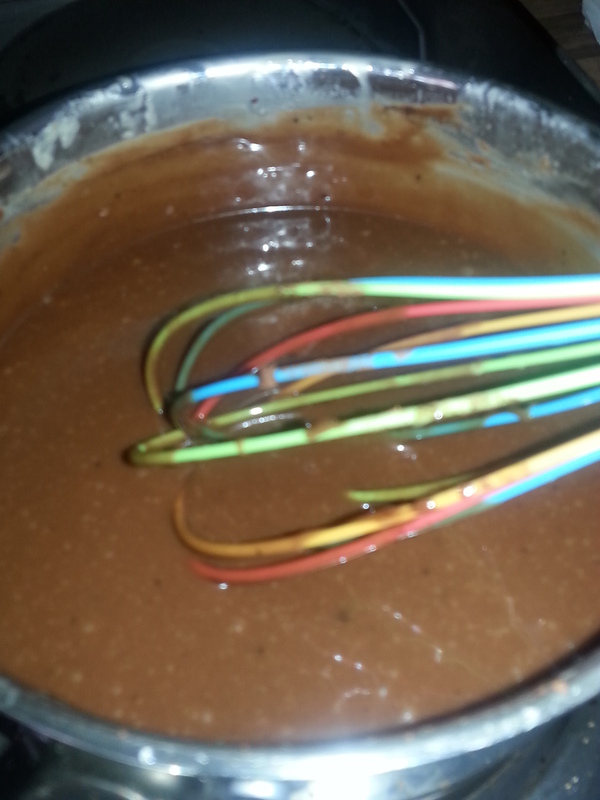 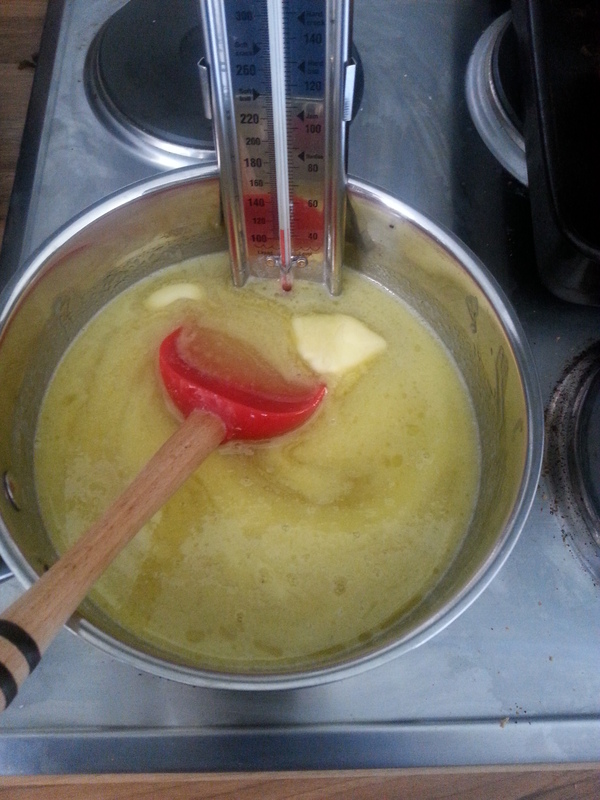 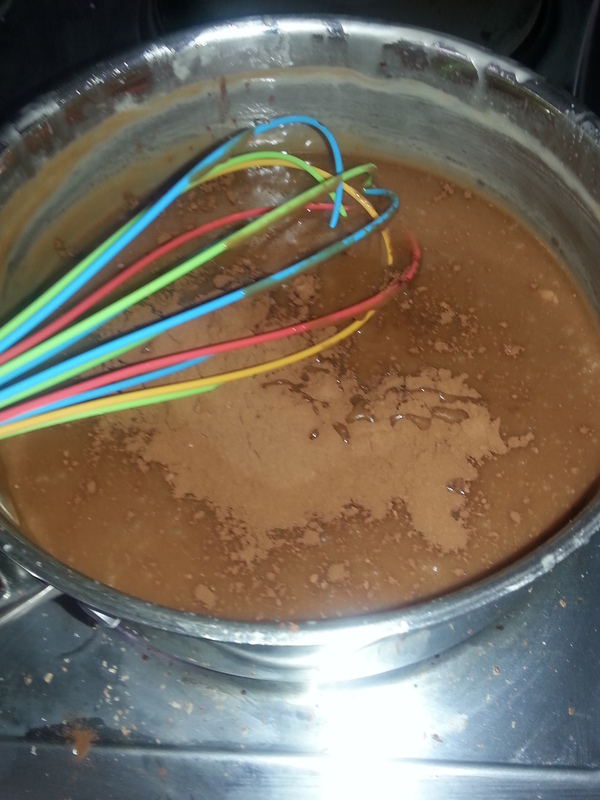 Next, whisk in the cocoa, be careful as the mix will still be extremely hot. 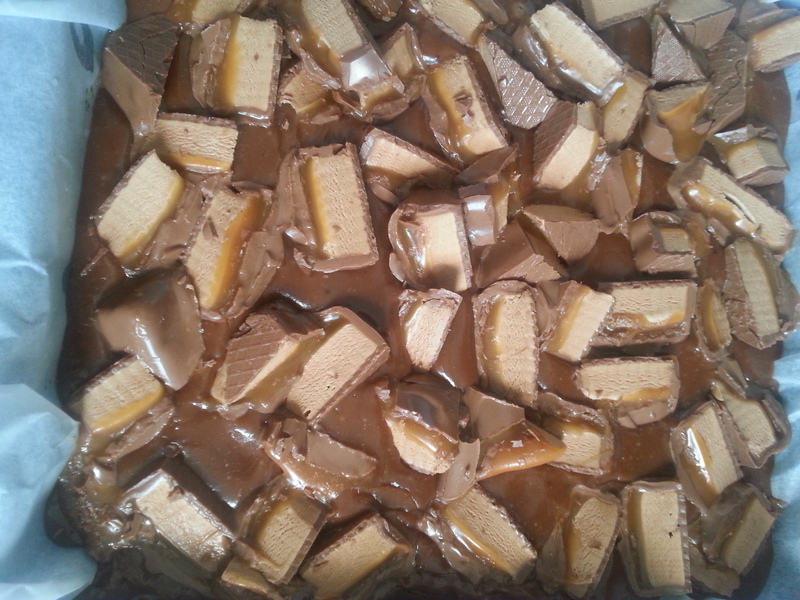 Once everything is all mixed in pour the fudge mix into your prepared tin and leave to cool for a few minutes. 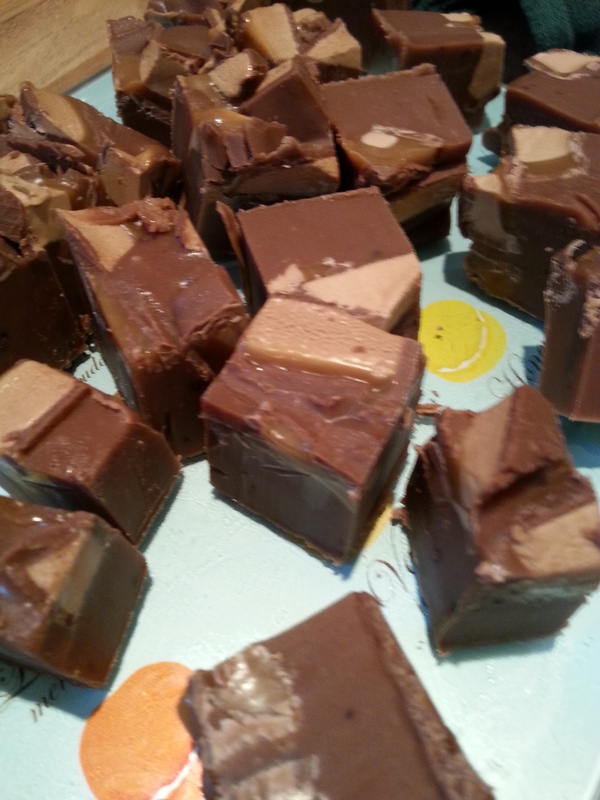 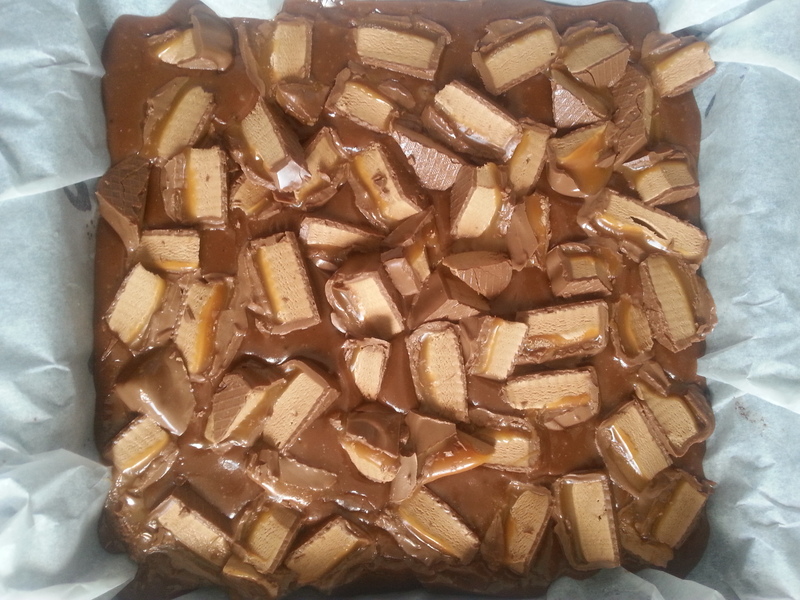 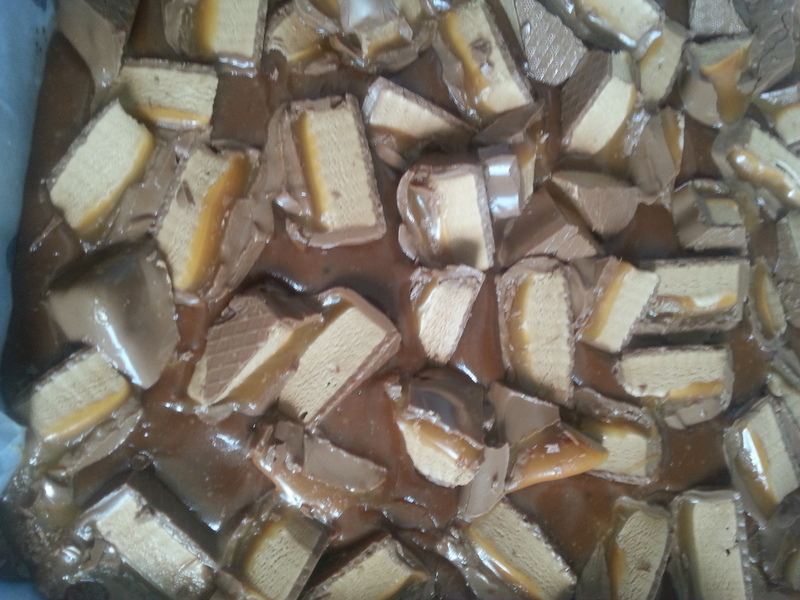 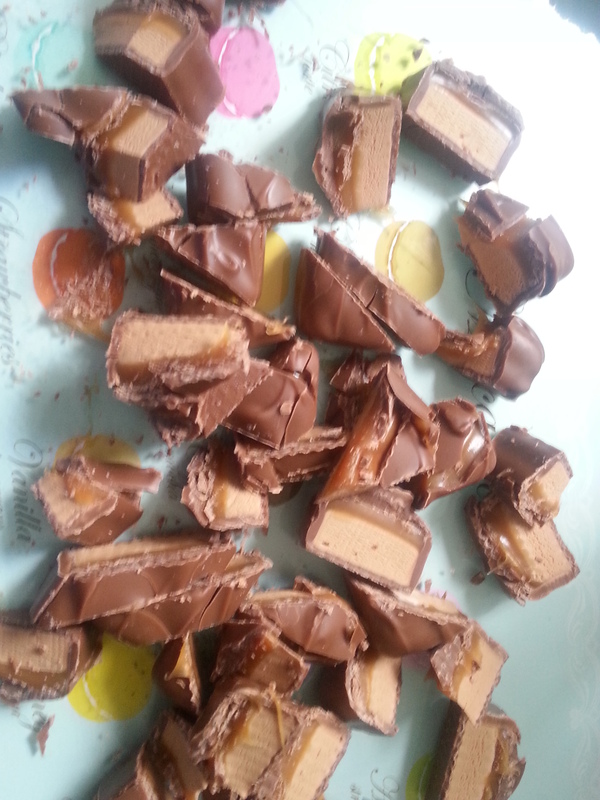 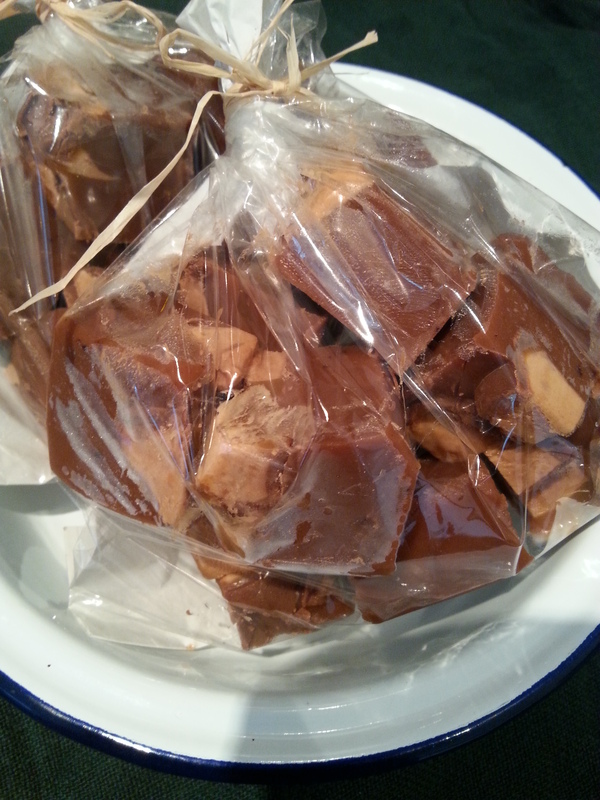 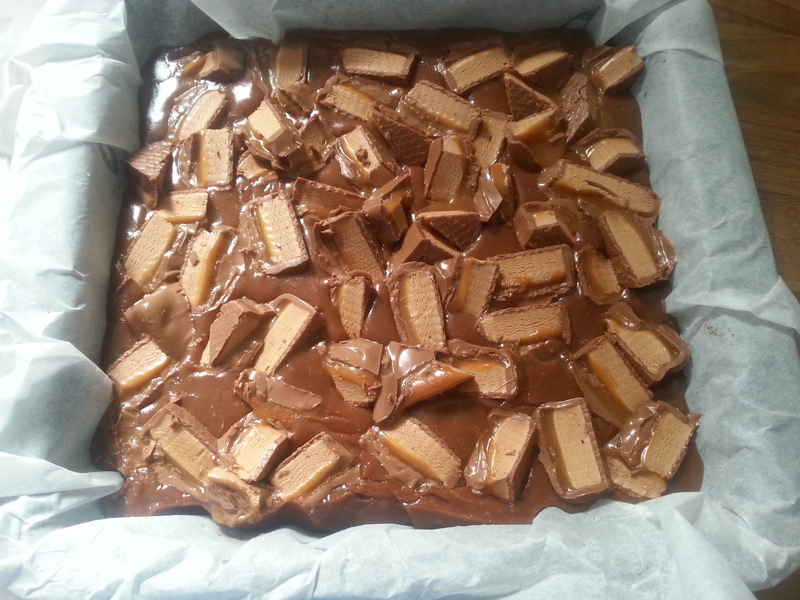 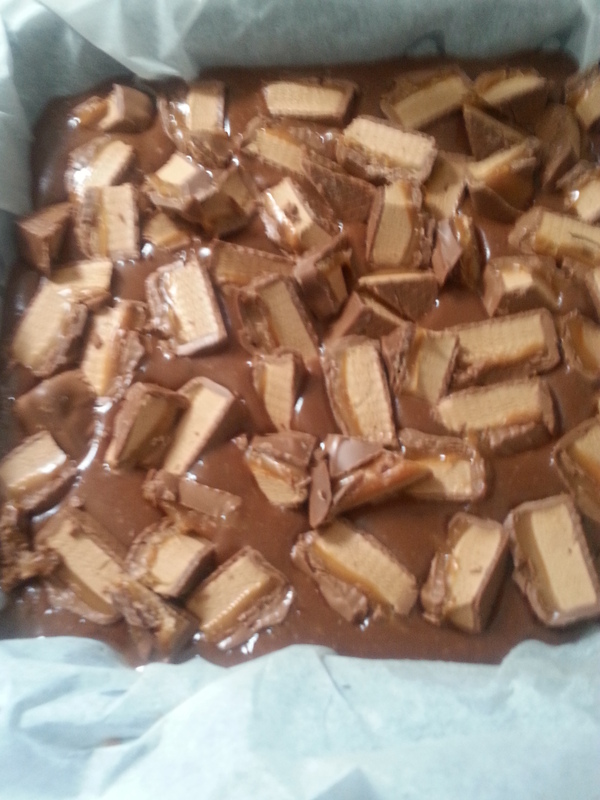 Randomly place the chopped up mars bar all over the top of the fudge, they will sink in slightly. 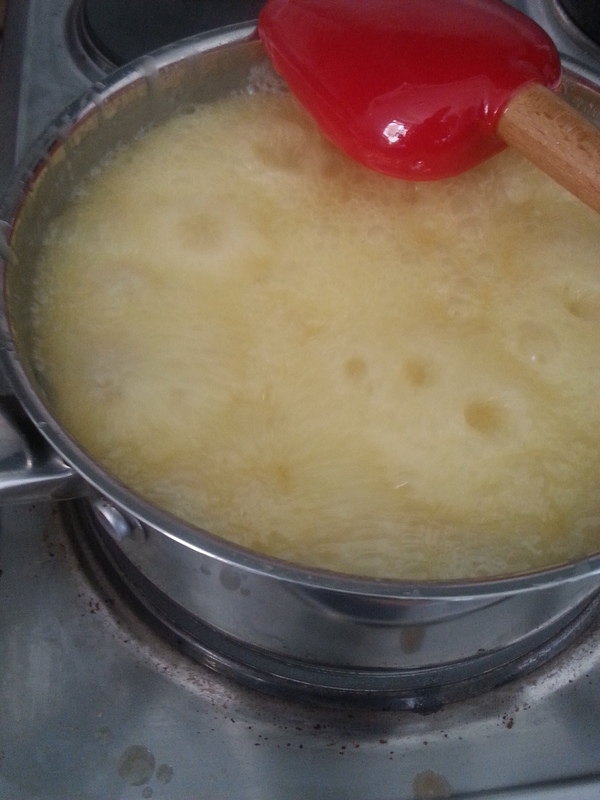 Chill in the fridge for a few hours and allow to set.